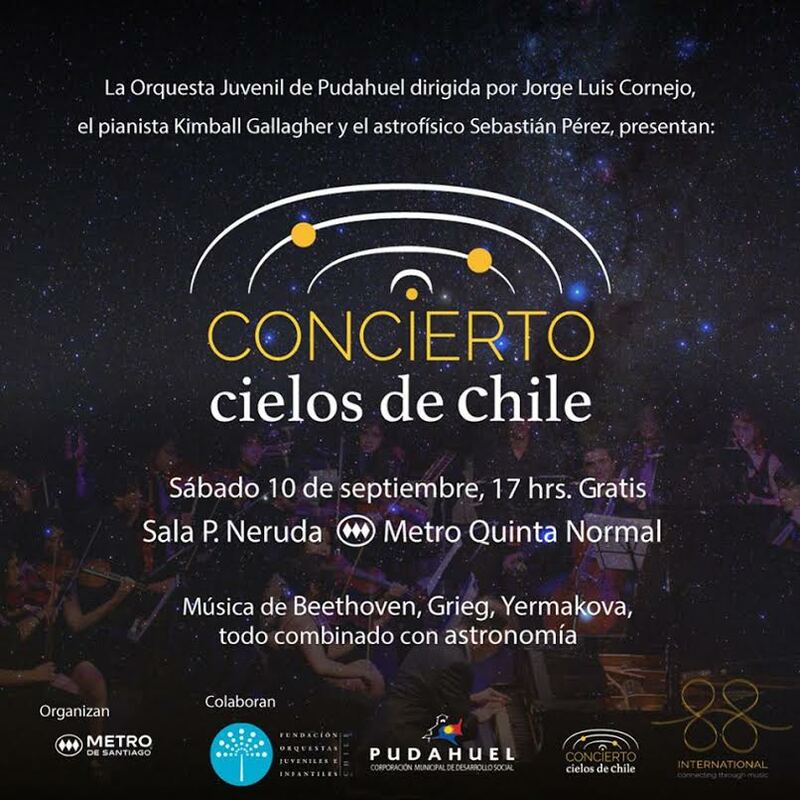 Chilean Skies Concerts are concerts combining the Youth Orchestra from Pudahuel, Santiago with astronomer and charango player, Sebastian Perez along with pianist Kimball Gallagher. Concerts occur in observatories and other venues throughout Chile combining astronomy and music on the theme of the sky and existence. When possible, concerts include ‘star-parties,’ short talks given by astronomers that are relevant to musical selections. Chile has some of the clearest skies in the world, and, by 2018, Chile will contain 70% of the world’s telescopes.